20 March 2015, at 9:37a.m. 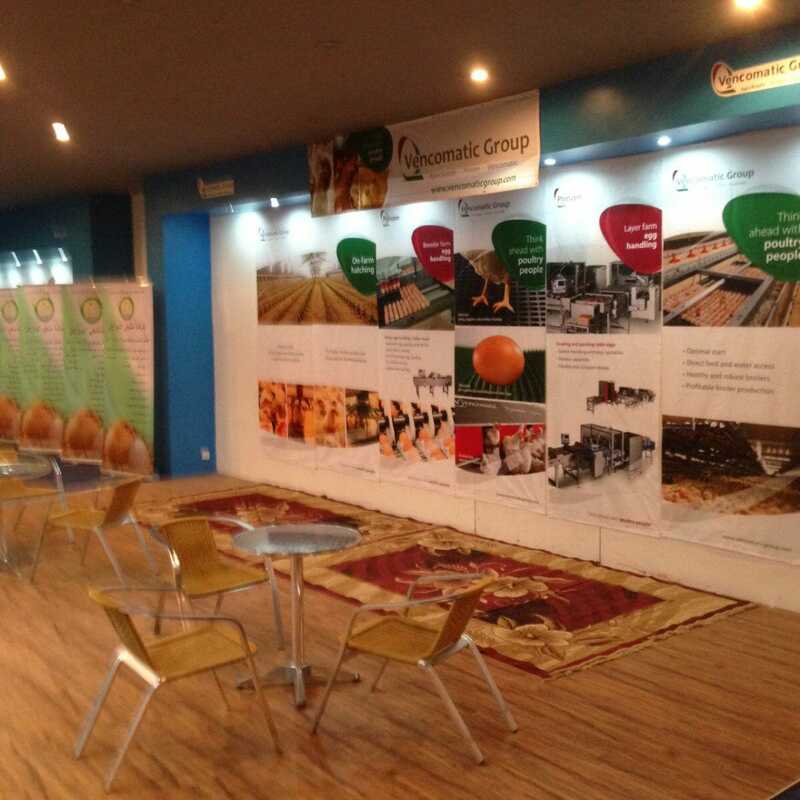 SUDAN - From the 25 to 28 February, Vencomatic had a booth at the Sudan Poultry Expo 2015 in Khartoum. The Sudan Poultry Expo is an event dedicated to development of poultry, livestock and agricultural production in Sudan. During this edition of the Poultry Expo, NABC successfully organised a trade mission for Dutch companies and facilitated a Dutch Pavilion at the fair. Many foreign companies presented themselves in the five halls of the fair. The Vencomatic Group had an attractive booth, where they got acquainted with several people from the poultry sector. Peter-Bart Lichtenbeld, Regional Director Africa: “We are glad we participated and had the honour to meet interesting people.